How do you measure the value you get from SharePoint? That’s an excellent question, and I am confident you're not the first to ask. 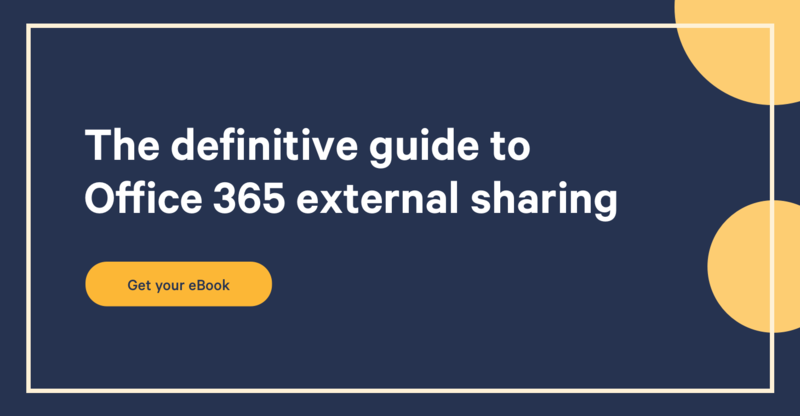 Considering SharePoint does so much, and can be used in so many different ways, it’s sometimes difficult to figure out exactly what you're getting out of it. Like many products, we know it’s doing something, and we definitely agree that we’re getting things done differently, even better in many cases, just not sure where the value is. Christian Buckley tells us how to set goals to measure the value of your SharePoint. Before you start measuring anything, you need to know why you’re doing this, and where the main focus is. And I don’t mean what features of SharePoint you're going to focus on either. It needs to be relevant to your business, to your team, and to your culture. Are the outcomes focused more on the company, rather than the customer or the employees, for example? Basically, you're looking at the company when the benefits of what you're trying to accomplish affect the entire organization. The focus can also be more on the customer side of your business, whether it’s to help reduce the cost of acquisition, or improve the quality of your service or product in any way possible. Last but not least, the reason for the product could be to improve the employee’s day-to-day. Unlike the first with “Company”, in this case you're looking to change an individual’s activities. Once you've figured out where your focus is, or why you're putting SharePoint in place, then you’ll be able to begin measuring the value. That said, bare in mind that SharePoint is a platform and thus allows you to do many things with it. You may be implementing SharePoint to solve problems, or even improve performance for all three. If that's the case, make sure you identify them and separate them. It’s not because they use the same technology that they're all one project. Once you’ve figured out where your focus is and why you're using SharePoint, or rather what for, you’ll want to detail the specific outcomes for them. Outcomes are what you specifically want to achieve. They’re what you'll be able to measure once SharePoint is successfully deployed. In the following video, Christian uses examples for a Customer focus. He mentions lowering the acquisition cost of a customer, improving the quality of the service, increasing engagement, as well as the type of content or product being delivered and the level of support provided. Understand these outcomes and then measure against them. But how do you start measuring against your outcomes? You’ll need to establish SMART goals. If you set out to improve the quality of the service, then your goal could be to improve a certain statistic on the regular customer satisfaction survey by an x amount. You’ll then be able to see if the implementation of SharePoint helps reach this outcome’s goals, and thus measure its success. The most common mistake is to see SharePoint as a product instead of a platform, and try to measure the whole implementation as one, instead of the many different outcomes and their goals. Hi, this is Christian Buckley, and I'm going to talk to you about setting the right kinds of goals for measuring the value of SharePoint. Hi, this is Christian Buckley again. I'm the chief marketing officer with Beezy. I'm also an Office Servers and Services MVP. I'm talking about a topic that is, I think, relevant to any business, of course. At some point we're all being asked to measure the value that we're providing through our SharePoint environments. So whether you are a site admin, or even a power user just using the platform, at some point someone in the chain, our management chain, is going to ask what is the value that we're getting out of the system that we have in place here. Something that I certainly picked up while I was at Microsoft is this idea of building smart goals. Well, beyond that, I'm not going to lecture on that. We'll let the article write itself below that. You've all heard about this, probably, about smart goals. It's kind of the focusing on your goals on specific actions and activities that are measurable and focusing on the right things. Be careful that you're not just going in saying, "Oh, we saw this KPI that we used in this last project, or my former company, we're going to apply that here". It needs to be relevant to your business, to your team, and to your culture. One of the things that I always provide guidance to customers about is on this focus. Is it around the company, is it around the customer specifically, or is it around the employee that we're trying to provide this environment and this activity? Because the various outcomes, if we're looking at company-wide these are the benefits, it's going to be very different and not attuned to the employee; versus for the employee, it might be great for the employee and great metrics, but not driving the value that somebody that is focused on the company wants to see. And so that's where you can see the division of some of these metrics, some of these goals, based on where you're focusing. So it's important to start there. You might have goals for all of these areas, but you need to start somewhere and then focus in from there. From there, you take this focus, so actually go in and think about the focus. In this case we're going to focus on outcomes specifically for the customer in this case. So for the customer we have specific outcomes that we're looking at. We're looking at maybe reducing the cost of acquisition, improving the quality of the service for the customer. I know this is hard to read, but the level of engagement and what the engagement activity actually looks like. There's multiple layers within that. The actual content that's being created and given to customers, and the level of support that's being provided. All of these things are areas. Yes, there are many more things within that customer category of things that you might potentially want to measure. The point here is to understand the outcomes and then measure against those outcomes. Just pushing a metric out there, a KPI, is not the right approach. For example, if my outcome is that I want to improve quality, you might say that quality improved for our organization is that we have maybe in our customer satisfaction, our CSAT surveys, we have a 10% gain in our CSAT percentage, if your organization follows that kind of model. You might have as that improving quality might be a CSAT improvement. Well, if you know that the goal here is CSAT improvement, you just have to believe me, that word says improvement there. If that is your desired outcome, then going and building the measurements that are going to deliver that improvement, and how you're going to achieve that, and over what time period. Smart metrics, which are guided principles to help you make sure that the goals you set are meaningful, they're timely, they're well measured, and they fit with your business initiatives. So that business alignment that is so critical should be part of the focus. If you understand how you're building your goals, the focus areas, you are clear on the outcomes and not blurring the lines between other desired outcomes so that you can build the right metrics, you're going to be on the right track to delivering the right measurements and measuring that over time. Value is one of those things that falls clearly, in the SharePoint world, into the "it depends" category. It really depends on what it is that your focus is, what it is that you're trying to measure as an outcome, and then looking at that measurement over time. One of the things which I'm constantly preaching about is that you should not try to measure the benefits of SharePoint as a statistic. Looking at a spreadsheet, it's not going to give you all of the qualitative or quantitative value measurements of your environment, but to look at these as data points in time and you should focus more on how that data changes over time, and whether things are trending positively or negatively. I think you'll be much better off in your goal setting if you take that perspective with focus, outcomes, and perspective on how to set a good goal.